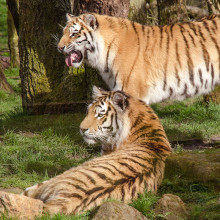 BeWILDerwood is a large award winning forest adventure park for all the family. 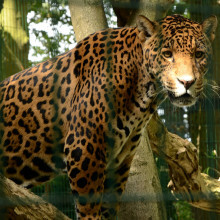 Enjoy the zip wires, tree-houses and jungle bridges. 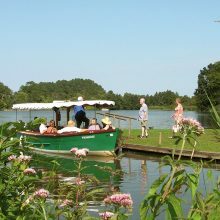 There’s Crocklebogs, Twiggles and Boggles, storytelling, boat trips, marsh walks and really yummy food! 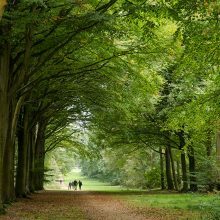 The rolling landscape park with a lake, 211 hectares (520 acres) of woods and waymarked trails is a great place to explore nature and wildlife on this bountiful estate. 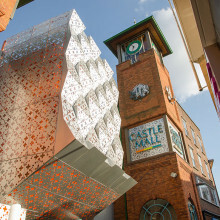 With buggy friendly surfaces on main visitor routes, families can enjoy a great day out. Mazes are popular with kids and adults alike. 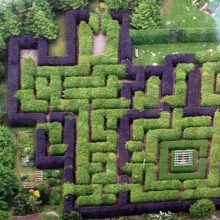 On a nice day, getting lost in a maze can be lots of fun and a chance to get some fresh air and physical activity. 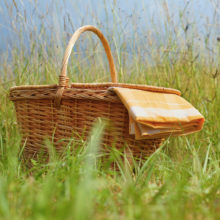 Many of the mazes offer additional attractions such as gardens, play areas and cafes too. 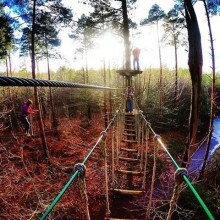 Enjoy challenging outdoor activities and a fun day out having a tree top adventure. 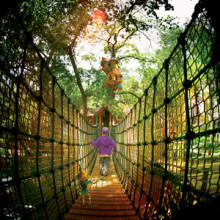 Explore the tree canopy, taking zip wires, Tarzan swings and crossings. 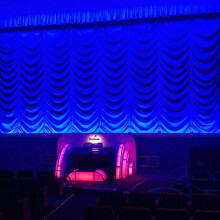 Ten Pin Bowling is great fun and very popular with people of all ages. 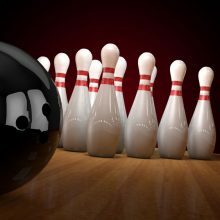 Here’s a list of Ten Pin Bowling alleys in Norfolk. 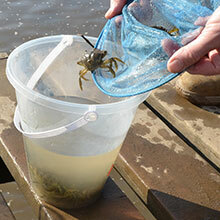 Crabbing (or Gillying as it’s often referred to in Norfolk) is a favourite family pastime in the summer months. 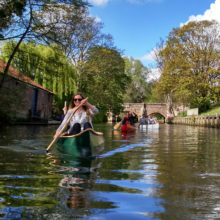 Favourite spots for crabbing include Cromer Pier, Blakeney Quayside and Wells Harbour but there are many more available, all along the coastline. 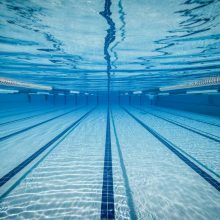 Swimming is a great way to help you shed body fat and maintain a healthy weight, but the benefits don’t stop there. Find a place to swim! 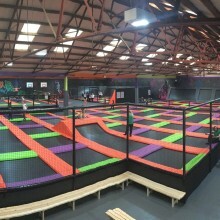 Bounce to your hearts content between the interconnected trampolines, challenge friends to a game of slam-dunk or dodgeball – or hone your skills on the big air bag. Or try Gravity Rocks – climbing walls with a difference! 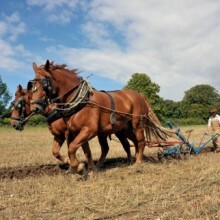 Discover first-hand what life would have been like in a Victorian workhouse, not so long ago – and learn about the traditional farming techniques that were used. Gressenhall offers fun and some interesting insights into the past. 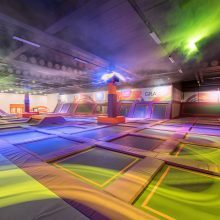 The ultimate trampolining experience for children and adults alike – interconnected trampolines, angled walls, roll-over platforms, slam-dunk basketball nets, trick airbags, party rooms and café serving hot and cold refreshments. 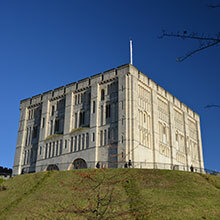 Explore the evolution of Norwich Castle from Royal palace to county prison and enjoy fantastic collections ranging from fine art and archaeology – to natural history, as well as discovering soldiers’ stories in the Royal Norfolk Regimental Museum displays. 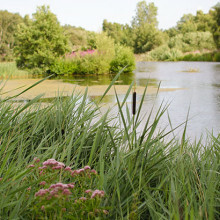 A stunning park where you can get close to nature and see a diverse range of flora and flora. 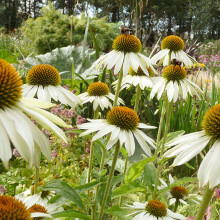 Enjoy nature trails and visit the spectacular Millennium Garden. Kids will love playing in the recently added WildRootz and Hootz House play areas. 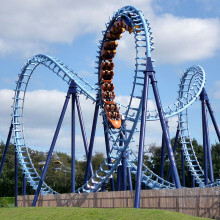 Just 8 miles south of Great Yarmouth, Pleasurewood Hills offers fun, thrills and spills for all the family. 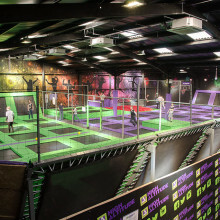 If you’re in Norfolk, this is the best theme park experience you’ll find locally. It’s a super day out. 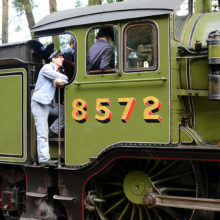 The North Norfolk Railway (the ‘Poppyline’) is a preserved steam railway connecting the towns of Sheringham and Holt, passing through Weybourne Station. It provides a ‘living history’ – offering an enjoyable and interesting insight into a time when railways flourished. 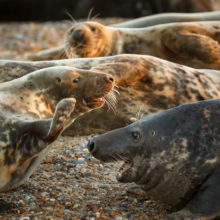 Norfolk has some of the largest colonies of seals (Grey and Common) to be found in the UK. The seal trips (by boat) offer an exciting experience combined with the chance to learn more about the seals. Horsey beach is a great spot during Winter. 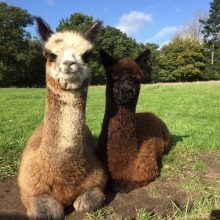 Come and meet the lovely alpacas at Burnt Fen – you’re guaranteed to fall in love with them!